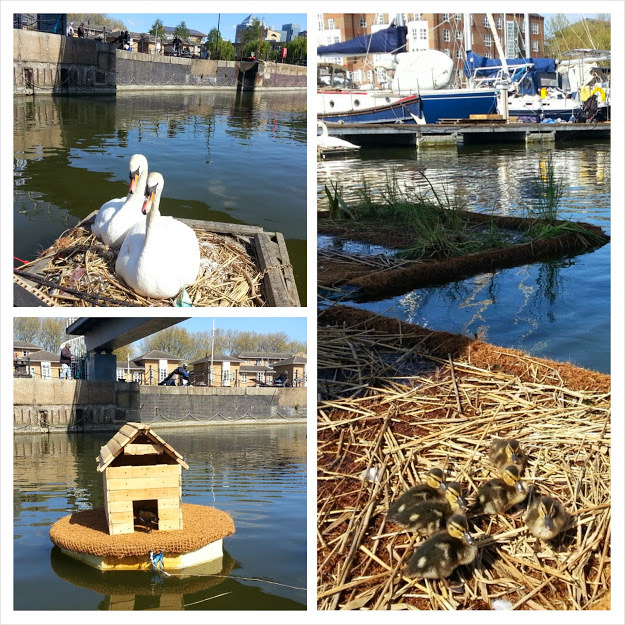 There’s wildlife bustling all around us on the marina – helped along by talented residents that have been an array of floating islands and even a duck house. The vegetable garden. 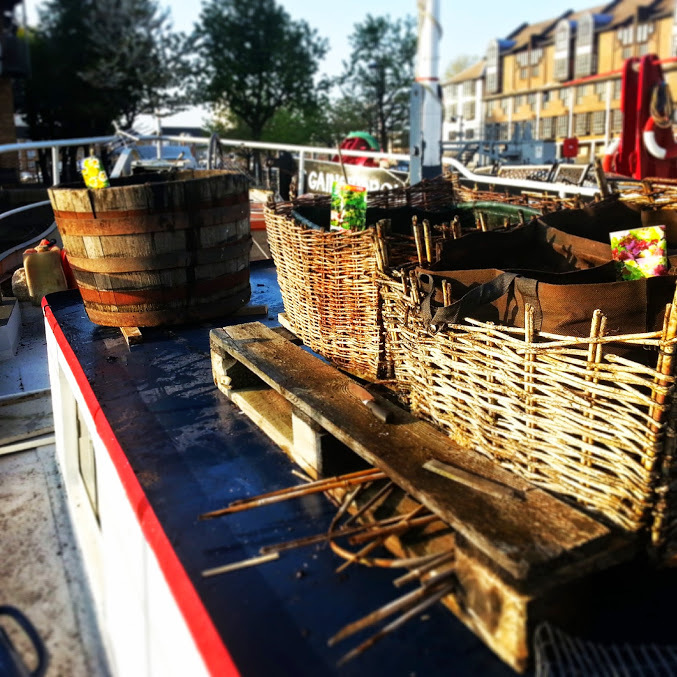 We’ve planted rocket, mixed lettuce leaves and nasturtiums. 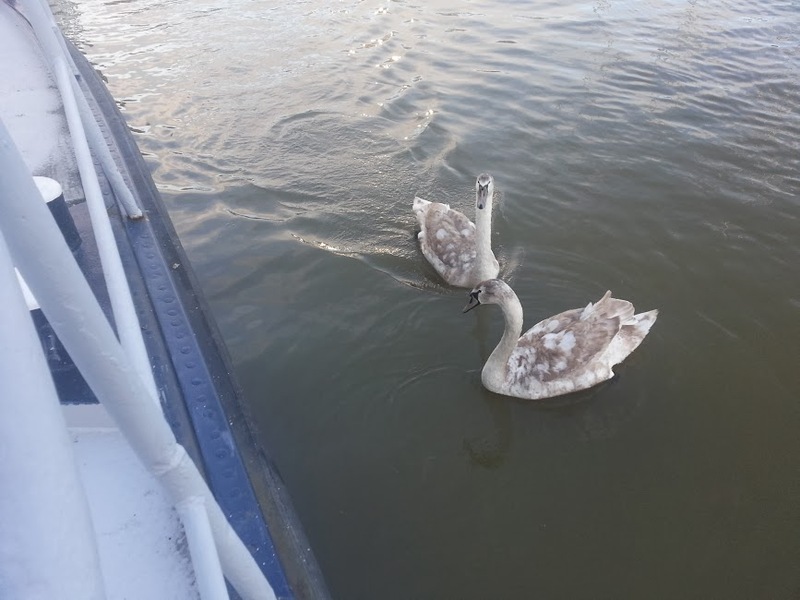 Two young swans regularly visit the houseboat in the morning. They live on a floating reed bed on South Dock Marina.